Gastroesophageal reflux disease, or GERD, affects about 20% of people in the United States. 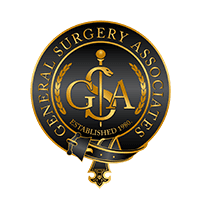 If you frequently have heartburn, acid reflux, indigestion, or similar digestive issues, schedule an appointment with the experts at General Surgery Associates in Las Vegas, Nevada to learn whether you may have GERD and if surgery could be the most appropriate treatment for you. When you swallow food, it travels through your esophagus to your stomach. At the bottom of your esophagus, there’s a small, muscular ring called the lower esophageal sphincter (LES). The LES is like a one-way valve that lets food pass through to the stomach but prevents food or the acidic fluid from the stomach to enter the esophagus. If the LES doesn’t work the way it should, stomach acid can get through and inflame the lower esophagus. This causes heartburn and could damage the esophagus over time. If you experience GERD often, treatment is necessary to avoid permanent damage to your esophagus and an increased likelihood of developing esophageal cancer. In some cases, changing your diet, using over-the-counter medications, losing weight, and controlling other risk factors can effective in preventing GERD. Your doctor may recommend drug therapy to heal your esophagus and relieve your symptoms. If those methods don’t work, your physician may recommend surgery. What should I expect during and after GERD surgery? The most common surgical procedure to treat GERD is called a fundoplication. Your esophagus passes through your diaphragm and connects to your upper stomach. If you have a hiatal hernia, the opening in your diaphragm — called the hiatus — is stretched and part of your stomach can slide through next to your esophagus. A fundoplication repairs a hiatal hernia. Your surgeon then wraps the top of your stomach around your esophagus, which essentially recreates the action of your weakened LES. GERD surgery is most often performed laparoscopically, using several small incisions and a small, thin tube that contains a video camera. Laparoscopic surgery generally involves a shorter recovery time, less pain, a lower risk of infection, and faster healing. 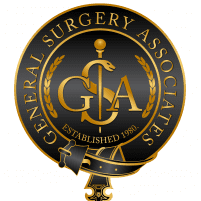 If you have questions about surgery to treat GERD, schedule a consultation online or by phone with one of the surgeons at General Surgery Associates today.